With unique in-house tools and expertise, Enerdata helps you evaluate the impact of governmental climate policies on your business. Analysis of the most cost effective options to reduce emissions. Climate constraints can be a definite game changer. Enerdata helps government institutions simulate policies and companies evaluate impacts on their strategy. Enerdata provides unique and insightful analysis on emissions forecasting, carbon price and market evolution globally. GHG emissions forecasts by sector - Using MedPro Environment, our proprietary model dedicated to emissions forecasts, Enerdata provides detailed emissions forecasts by sector and by end-use. Scenario Analysis of Regulatory measures - with simulation based models such as POLES, Enerdata designs multiple scenarios that reflect differing regulatory environment to assess the impact of a given carbon constraint level. Carbon price projections - Enerdata assesses the consequences of a Climate Change mitigation policy on the carbon price, and its impacts on fuel prices and power generation costs. Carbon Market Tool (CMT) - CMT allows for a detailed analysis of existing and fictive carbon markets worldwide using Marginal Abatement Cost curves derived from the POLES model. Global GHG emissions database - Enerdata develops and maintains one of the most comprehensive database on global greenhouse gas emissions, with detailed sector-specific time series. GHG emissions forecasting model (MedPro) - MedPro is a reference model used to forecast national greenhouse gas emissions on a mid to long-term scope. For a national government energy agency: Enerdata developed a specific Carbon Market Tool (CMT) model and Marginal Abatement Cost Curve (MACCs) model calibrated to the needs of the client. 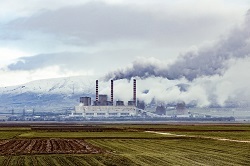 The results and following consultation were used to design and implement a detailed tool on GHG targets and emissions trading market configurations. For DECC (UK): Production of energy scenarios, of annual MACCs adapted to the EU ETS sectors for all EU Member States. Analysis and identification of technological options beyond MACCs. Input for “Short-term traded carbon values used for UK public policy appraisal”. Updated short-term traded carbon values used for UK public policy appraisal. For the World Bank: Enerdata was commissioned to quantitatively assess impacts, of Mitigation Values for ETS linking different jurisdictions using its Evaluate GHG model. Read the Networked Carbon Markets initiative Partners & Strategy Workshop.